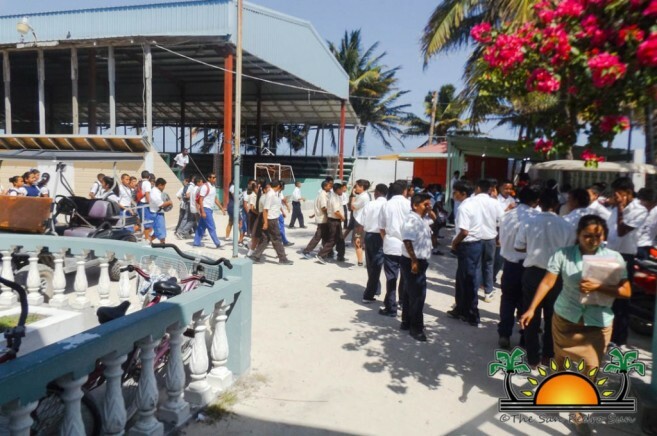 « Older: When will Ambergris Caye get their new schools? During the first part of the national Primary School Examination (PSE) held on Monday, March 14th, Ambergris Caye registered a considerably lower number of students partaking of the test than usual. The statistics for 2015 indicate that 298 students sat the exam, whereas in 2016 the number of students sitting the first part of the PSE was just 261. This raises concerns as the decrease is noticeable, especially when classrooms are often declared overcrowded. The examination took place at the San Pedro High School (SPHS) where primary schools from across Ambergris Caye and Caye Caulker partook in the exam. Taken by standard six students only, the PSE assesses achievement of curriculum content and skills in the four areas of English, Mathematics, Social Studies and Science in the national primary school curriculum. The test taken on Monday tested students’ knowledge in English and Science. “I believe I did well, however, science was the most difficult one from the two tests,” said Ivan Ack from New Horizon Seventh Day Adventist School. The island’s Education Officer, Nelma Jones visited the school during the examination and mentioned that everything went well. She applauded the work from the SPHS staff in organizing the sitting of the examination with primary schools. However, she also commented on the lower number of students sitting the exam. According to Jones, the data from the previous year was compared to the current one and a few conclusions were identified. “The decrease of students sitting the exam this year is large and from going through the information available I think I know what the cause may be,” said Jones. “San Pedro Town is a migratory community. People come here with their families to work, and if they don’t find jobs they leave. This means fewer students in the schools. Another factor that may contribute to the decrease this year is that some students have been transferred to other schools on the mainland due to the fact that their families have left the island.” Jones claims that the education level has not gone down, and dismissed that as a factor affecting the drop in students sitting the PSE. The 261 students that partook in the PSE examination this year came from the following schools: San Pedro Roman Catholic School (96), New Horizon Seventh Day Adventist (60), La Isla Bonita Elementary School (12), Ambergris Caye Elementary School (10), The Island Academy (6), and Holy Cross Anglican School (41). 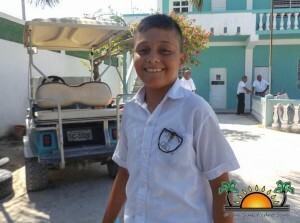 Meanwhile there were 36 students from Caye Caulker Roman Catholic School and one student from Caye Caulker’s new school, La Isla Cariñosa Academy. The second part of the PSE will be sat on Tuesday, May 3rd and will consist of Social Studies and Mathematics. While the Ministry of Education has reiterated that the PSE is not and was never intended to be used as the sole criteria for entrance into secondary schools, it is still very much a part of the complete package that determines students’ enrolment in high school. Secondary schools are advised to use multiple sources of evidence of students’ achievement and holistic development at primary school to get a more complete picture of the students’ abilities, strengths and weaknesses in informing educational decisions with respect to the students they enrol and serve.